Google Chromecast is one of the latest best products from Google, which makes it easy to stream the content from the mobile device to the larger screens, like the HDTVs. With the pricing at just $35, one would have this one in hands without a second thought, compared to the Apple TV, Roku and other alternatives. But once you have got the hands on the Chromecast, it’s not just a single step process that would finish the setup of the dongle with your TV and the Android device. 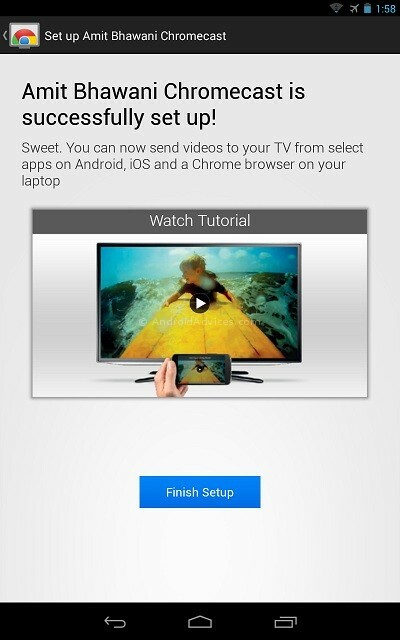 Below are the steps you need to follow to setup the ChromeCast. 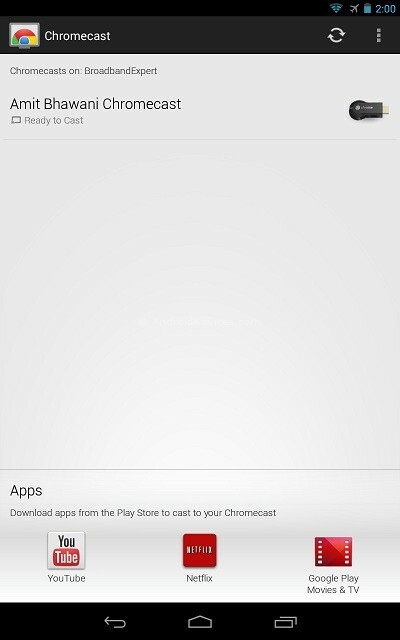 Once the app is installed, you can check for the Chromecast devices that are available on the same network. 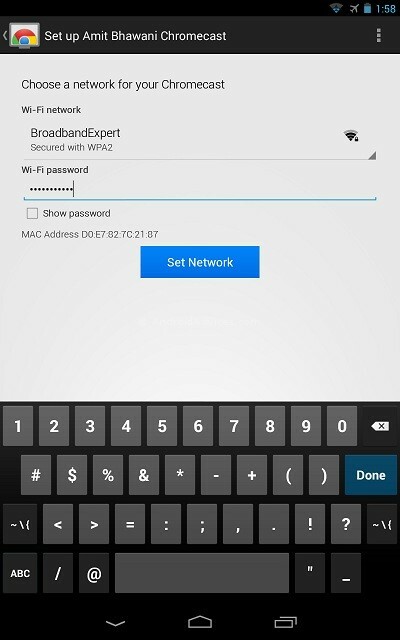 Once the device is detected, you need to connect the device to the wireless network for the streaming to happen. 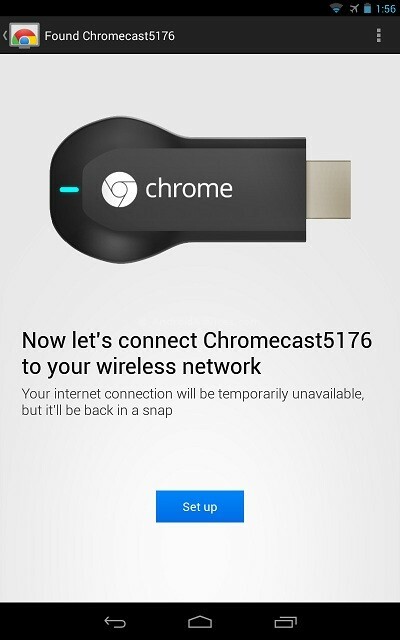 Once the code is confirmed, it would start connecting and then you can change the name to personalize the ChromeCast for your network. 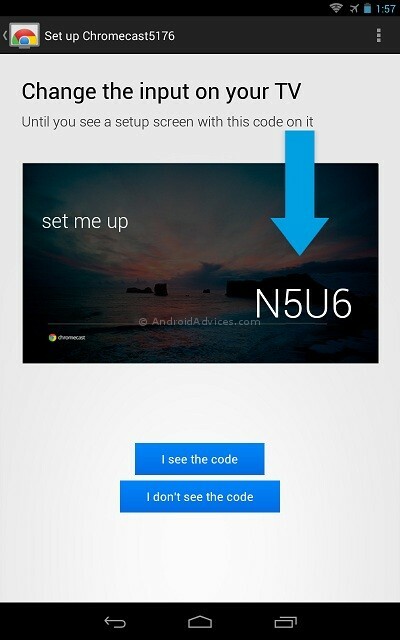 After setting up the name, the setup would be completed and you can send the video content to the TV from the selected apps from any of your device, which can be not just an Android phone but an iOS device or even the Chrome browser from your PC / laptop. 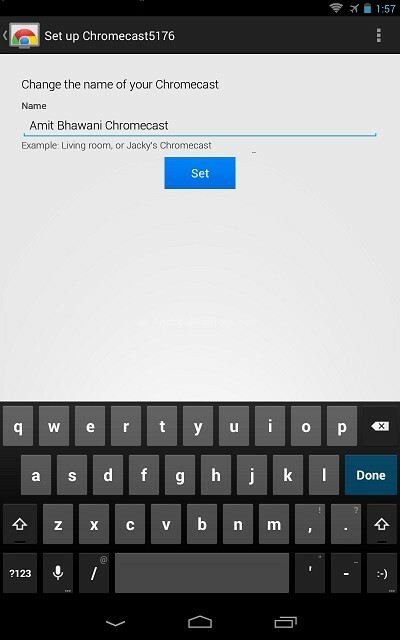 Right after the setup of the ChromeCast, you need to select the network and set it up. This should be the common network for both the sending and receiving device. 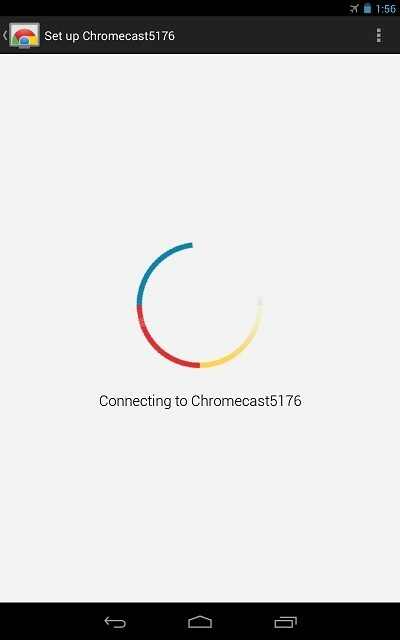 The app would then show all the ChromeCast devices that are available on the same network, and you can select the one to which you want to cast the content. This clearly gives you an idea that several ChromeCast devices can be added for a single smartphone in the same network. Once this setup is done, you can stream the content from your device to the larger screens such as the TV screen through the ChromeCast app. * If you don’t have a chromecast, and looking for such a similar alternative, there’s an app called Cheapcast which would do a similar job in streaming the content.